SUPER BOWL LIII LA Rams vs New England Patriots. Who's going to win and what's the final score? Post your predictions. We have 2 weeks and I'm pretty sure the line will change slightly by game time. Last time we did this someone did get the score right. Yep. Will be the most boring Super Bowl ever. I'm not watching and most of my friends have said the same. I agree even though I can't stand Shawn Payton and was happy he lost! It goes without saying that just about everyone in STL was hoping for a Saints vs. Chiefs Super Bowl. Maybe they could have a consolation game. 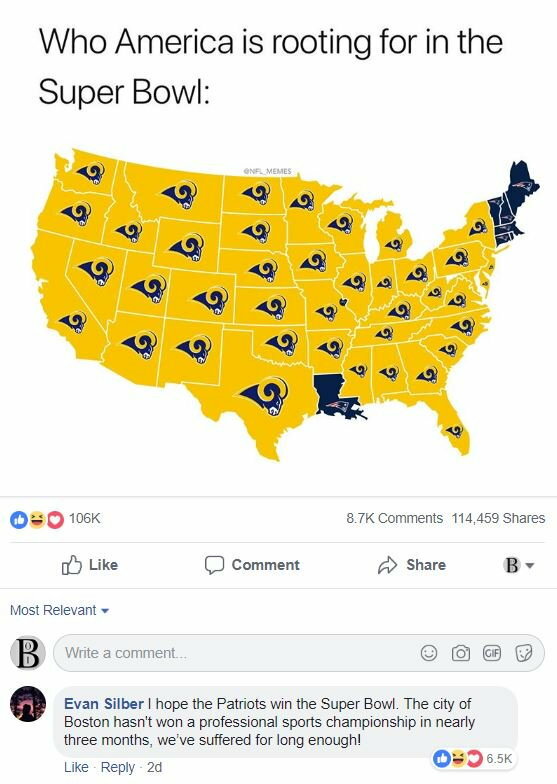 Rams shouldn't even be there and the poor Chiefs lost their shot after they lost the coin toss for the OT. Haha I hear ya. Hang in there, it'll be over soon enough. 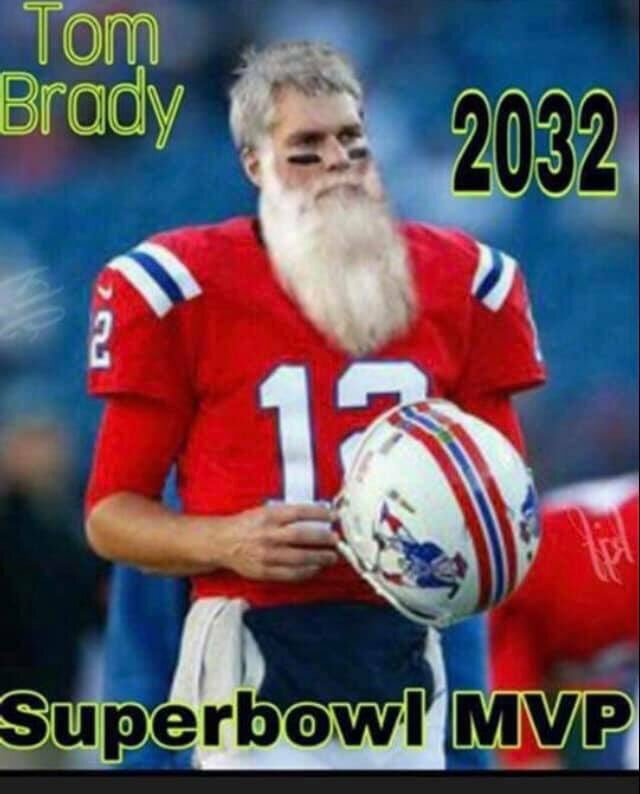 I mean, Brady is 41 years old. But he did say he wanted to play until he's 45 so you might have to wait 4 more years. You know, it'll be 17 years (to the day!) on superbowl Sunday that they played that infamous superbowl XXXVI in New Orleans in 2002? Brady's rookie season against Kurt Warner and the greatest show on turf St. Louis Rams. What an upset that was that started this unstoppable dynasty and how about going around full circle? That's an amazing story in of itself. Can I inflate the footballs ? Please. I loll'd at this one. Philly fans are the WORST supporters of teams. YEA when winning. Terrible people in the stands. Hey Louisiana, we welcome you to Pats Nation with open arms! Hope we can exact sweet revenge for you but I have a question for the rest of the country: What the heII is wrong with you people? WTF allegiance do you have to a goat with twisted horns? We're the militia that brought you your independence and sacrificed our great, great, great, great grandfather's blood to create this great nation! We are America's team, and @Pops, screw the Dallas Cowboys lol! 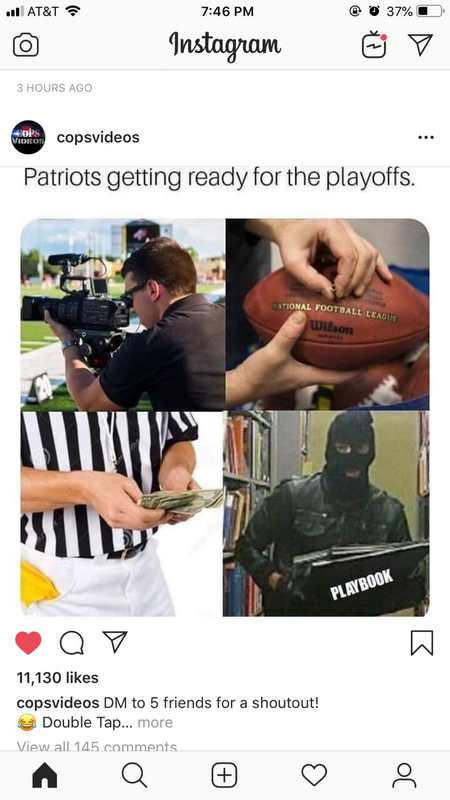 It's the New England Patriots! Not some mountain wool body with hooves!? This is ridiculous! Line is still Pats at -2 1/2 but the over/under has dropped by a couple to 56.5. My predication; All time low viewership. The over/under is 100 mil. That would be highly improbable, even more like impossible according to this graph. Will be at work during the game. Doesn't matter, I'm a hockey fan first. easy there old man!! I was born and raised bleeding green! There are plenty of fans of other teams who are just as bad or worse than Eagles fans! We Eagles fans are passionate about our sports teams. Bad or worse does not cut it. . I have NEVER BOOED my home teams. I cheer them on. If I boo my home team ? I am supporting the other team. Awesome, finally a score prediction! I wouldn't mind seeing that. That would be considered a blowout by Pats superbowl standard since every time they've been to the big game under Brady/Belichick, it's always been decided by 4 points or less, even their losses with the exception of 2016 against the Atlanta Falcons when they had that incredible comeback and won it by a TD in OT. But that's also considered a close game. BTW, did you see this crap? 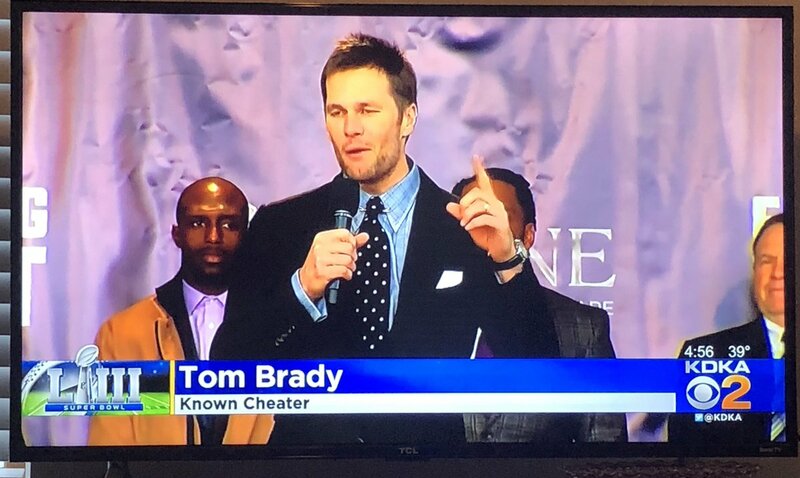 lol, some numbnuts who works for a Pittsburgh TV station worked in these graphics in their sportsnews broadcast. What a clown lol. He got fired the next day. Yay, another prediction. That's where I would guess, somewhere around those numbers.